Rotarians Dra. Monica Nogueira and Dra. 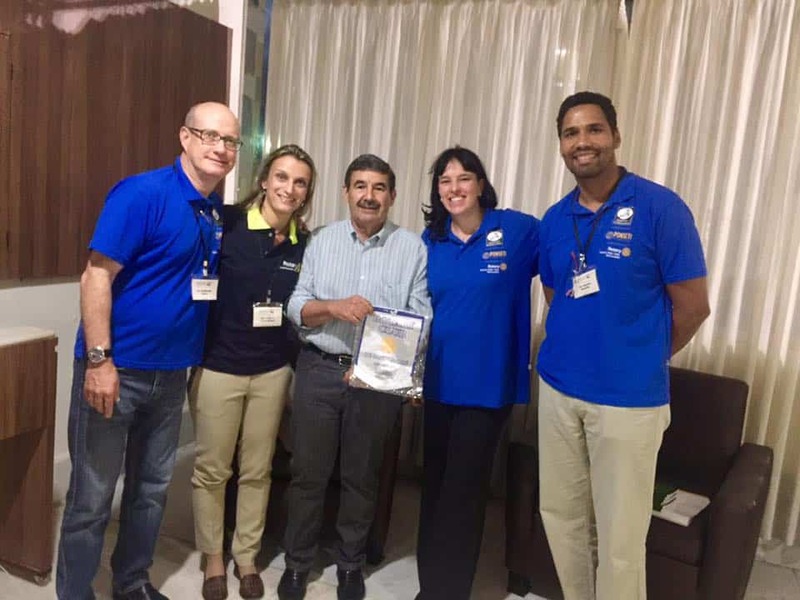 Tatiana Guerschman met with Mr. Jayme Baleeiro Neto of Rotary Club da Bahia and Dr. Guillermo Tierno and Dr. Antonio Goncalves, Ponseti Method providers in Salvador. From March 29 – April 2, 2017, a Ponseti Method mentorship training for 9 physicians was held in Salvador, Brazil. While in Salvador, Rotarians Dra. Monica Nogueira and Dra. Tatiana Guerschman visited the Rotary Club da Bahia (D4550) where they explained the prevalence of clubfoot in Brazil and how Rotary is helping training an additional 50 physicians nationwide. 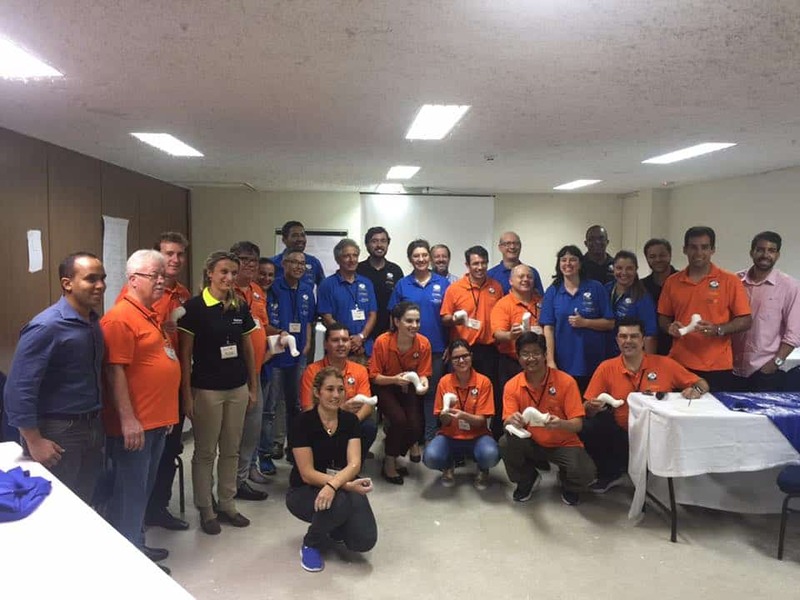 Rotary Club da Bahia expressed interest in the clubfoot training project and they even offered assistance to one of the patients receiving Ponseti Method during the training. A young boy, 6-years-old had received Ponseti Method in the past but he’s not been able to complete the castings because the clinic is so far away and there are many other children at home making it difficult for the caretaker to be away from home. The Rotarians of RC da Bahia were so touched by his story that they offered to pay for housing for the young boy and a caretaker to remain in Salvador for the several weeks to complete the casting phase. In addition, RC da Bahia will help finance the printing of the children’s book, The Magic Book – which is a story about a child wearing the brace at night to maintain the foot correction. Proceeds from the sales of the book will go to help the Brazil parents association, Primeiro Passo. Ponseti Method Mentorship Training in Salvador, Brazil. A Rotary project sponsored by Districts 4420, 5300, 5970 and 6000.